Patient centred care is one of the most important elements of nursing practice. It is important to understand the health need of each patient and provide adequate care in order to meet their needs in an effective manner (Rathert, Wyrwich & Boren, 2013). However, various clinical leadership issues occur during nursing practice that restricts the nurses to provide adequate service thus affect the patient outcomes (Huston, 2013). The purpose of the assignment is to provide PICOT statement for one of such nursing issue and review some articles in order to provide evidence regarding the findings. The chosen clinical issue for the assinurse-patientse patient ratio. In order to meet the needs and provide equal care service to each patient adequate staffing of nurse is required. However, it has been found that in most of the health care organizations the nurse-patient staff ratio is not maintained properly. Such activity affects the quality of care thus leads to poor health outcomes (ahrq.gov, 2018). Hence, the paper focuses to the matter and will provide adequate information regarding the importance of nurse-patient ratio. P (Population): Low nurse-patient ratio. I (Intervention): Staffing more nurse in order to improve the nurse-patient ratio. C (Comparison): High nurse-patient ratio. O (Outcomes): Each patient will get adequate care, thus positive health outcomes will be achieved. PICOT question: Whether the patient outcomes improve in health care settings with the low nurse-patient ratio as compare to high nurse-patient ratio within a time period of 6 months? McGahan, M., Kucharski, G., & Coyer, F. (2012). Nurse staffing levels and the incidence of mortality and morbidity in the adult intensive care unit: a literature review. Australian Critical Care, 25(2), 64-77. The study has aimed to inquire the association between the level of morbidity and mortality with nurse staffing. In this regards the study has used qualitative method and find out some secondary sources that is previous literatures from effective databases such as CINAHL, Australian digital thesis and PsycINFO in order to gather adequate information regarding the nurse-patient ratio and its impact on the patient outcomes. It has been found that association between reduction in the adverse patient outcomes and increased incorporation of nurse has not been found. 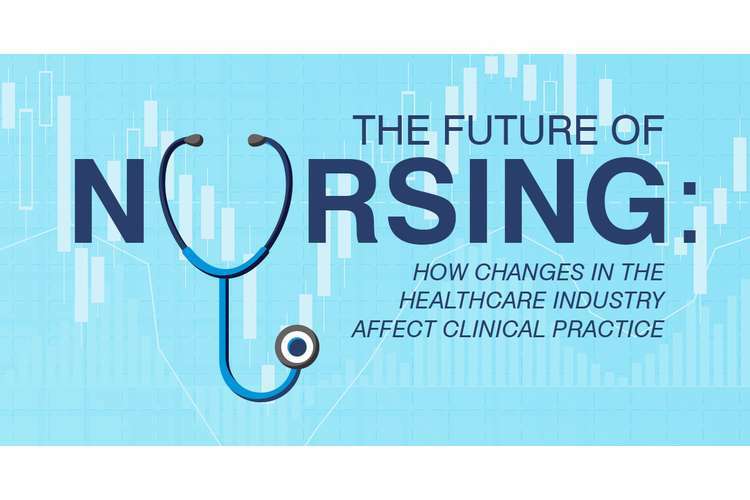 Most of the study has indicated the existence of trend regarding the improvement in patient outcomes with increasing nursing staff in ICU. Thus, the study has concluded that, robust research is required in order to demonstrate the relation between increase in nursing staff and positive health outcomes (McGahan, Kucharski & Coyer, 2012). Shekelle, P. G. (2013). Nurse-patient ratios as a patient safety strategy: a systematic review. Annals of Internal Medicine, 158(5_Part_2), 404-409. It has been found that most people believe that with more nursing staff and adequate care it is possible to reduce the death rate during hospitalization. Thus, the study has used the systemic review in order to identify the evidence regarding the relation between nurse staffing ratio and in-hospital death rate. In this regards 87 articles were analysed from 550 titles in order to address the research question in an effective manner. The study has identified some strong evidence from longitudinal studies which indicated higher incorporation of nurse leads to the improvement in the patient condition thus, reduce the in-hospital deaths. However, it has been found that there is lack of interventions in order to increase the nurse staffing. Thus, the study has indicated that, there is lack of evaluation regarding the relation between changes in nursing staffing and positive patient outcomes (Shekelle, 2013). Sherenian, M., Profit, J., Schmidt, B., Suh, S., Xiao, R., Zupancic, J. A., & DeMauro, S. B. (2013). Nurse-to-patient ratios and neonatal outcomes: a brief systematic review. Neonatology, 104(3), 179-183. The background of the study has informed that inappropriate nurse to patient ratio increase the workload of the health workforce thus, lead to the increase in mortality rate and in UK most neonatal ICUs do not meet the recommendation of national staffing. Thus, the study has aimed to understand the effect of nurse-patient ration on the NICU outcomes. In this regards the study has used effective search strategy and find out relevant studies from effective databases such as Medline, PubMed and EMBASE. As a result, inclusion criteria has been met by 7 studies among them 4 studies have reported death during the stay in hospital due to inappropriate nurse-patient ratio. Thus, the study has concluded that, nurse-patient ration is an important factor that affect the patient outcomes and increase in staffing of nurse could improve the health outcomes thus, reduce the mortality rate (Sherenian et al., 2013). Lee, H., & Bae, H. (2013). The Association of Nurse Staffing Levels and Patient Outcome in Intensive Care Units. Korean Journal of Critical Care Medicine, 28(2). The study has aimed to identify the association between nurse staffing and high quality care in the intensive care unit. In this regards the study has gathered relevant information from previous studies. It has been found that, shortage in nursing staffs is related with less budget and during the time of increased demand for critical care such workforce shortage leads to the low nurse-patient ratio, thus affects the health outcomes in ICU. The study has indicated that higher staffing of nurses helps to achieve successful health outcomes through reduction in medical information error, mortality rate and length of stay in the hospital. However, the study has identified controversies regarding the association of nurse staffing and positive health outcomes as some studies did not identify the relation between the two variables. However, most of the previous study have indicated a positive relation between nurse staffing and patient outcomes. Thus, the study has concluded that improvement in the mortality rate of patient is associated with nurse staffing and shortage in the health workforce has become one of the main concern of health system. It has been recommended to increase the nursing staffs in order to improve the health outcomes of severe patients (Lee & Bae, 2013). Cho, E., Sloane, D. M., Kim, E. Y., Kim, S., Choi, M., Yoo, I. Y., ... & Aiken, L. H. (2015). Effects of nurse staffing, work environments, and education on patient mortality: an observational study. International journal of nursing studies, 52(2), 535-542. The background of the study has informed that there is a link between the nurse staffing and improved patient outcomes. Thus the study has aimed to examine the way in which mortality rate get affected by nurse staffing. The researchers have collected data from nurse survey, hospital facility and information of patient discharge. The data was analysed statistically. Result has indicated that 95% cases of patient mortality is associated with nurse-patient ratio. The risk of patient death increases by 5% due to each additional patient per nurse and it has been identified that death rate of patients could be reduced by 9% by improving nurse-patient ratio. Thus, it can be said that increase in the nurse staffing could reduce the in-hospital mortality rate effectively (Cho et al., 2015). Falk, A. C., & Wallin, E. M. (2016). Quality of patient care in the critical care unit in relation to nurse patient ratio: A descriptive study. Intensive and Critical Care Nursing, 35, 74-79. It has been informed by the background of the study that intensive care unit required high resources of health workforce and high staffing is related to positive nursing impact. In this regards the study has focused to evaluate the impression of nurse staffing on nursing outcomes. The study has used retrospective study method and collected data from critical care registry of seven hospitals. The study has shown that patient complication in intensive care unit increases by 3 to 5.7% due to lack of adequate staffing. Thus, the study has concluded that, inappropriate nurse-patient ratio increases the duration of stay in the ICU (Falk & Wallin, 2016). From the above discussion it can be said that, there are some studies that did not establish any relationship between the nurse staffing and successful health outcomes. However, most of the study has indicated that increase in the staffing of nurse could lead to the improved health outcomes. Hence, it can be said that patient outcomes will improve in a health care settings with improvement in the nurse-patient ratio. 2. Cho, E., Sloane, D. M., Kim, E. Y., Kim, S., Choi, M., Yoo, I. Y., ... & Aiken, L. H. (2015). Effects of nurse staffing, work environmental economics, and education on patient mortality: an observational study. International journal of nursing studies, 52(2), 535-542. 3. Falk, A. C., & Wallin, E. M. (2016). Quality of patient care in the critical care unit in relation to nurse patient ratio: A descriptive study. Intensive and Critical Care Nursing, 35, 74-79. 4. Huston, C. J. (2013). Professional issues in nursing: Challenges and opportunities. Lippincott Williams & Wilkins. 5. Lee, H., & Bae, H. (2013). The Association of Nurse Staffing Levels and Patient Outcome in Intensive Care Units. Korean Journal of Critical Care Medicine, 28(2). 7. McGahan, M., Kucharski, G., & Coyer, F. (2012). Nurse staffing levels and the incidence of mortality and morbidity in the adult intensive care unit: a literature review. Australian Critical Care, 25(2), 64-77. 8. Rathert, C., Wyrwich, M. D., & Boren, S. A. (2013). Patient-centered care and outcomes: a systematic review of the literature. Medical Care Research and Review, 70(4), 351-379. 9. Shekelle, P. G. (2013). Nurse–patient ratios as a patient safety strategy: a systematic review. Annals of Internal Medicine, 158(5_Part_2), 404-409. 10. Sherenian, M., Profit, J., Schmidt, B., Suh, S., Xiao, R., Zupancic, J. A., & DeMauro, S. B. (2013). Nurse-to-patient ratios and neonatal outcomes: a brief systematic review. Neonatology, 104(3), 179-183.